What's Causing the Increased Power Outages in the Delaware Valley? There’s nothing quite like that helpless, disappointing feeling of losing power; except, maybe, the humiliating feeling that follows - reflexively flipping on light switches throughout the house to no avail. For most of us, this seems like something that has been happening in the Delaware Valley a lot more often than it used to, but people do tend to mythologize the past. So, are we really experiencing more outages lately? According to federal data and Climate Central it most certainly is happening more often. In fact, the US power grid loses power 285% more often, a ten-fold increase, than in 1984. That’s right, way back when we were playing ColecoVision, lining up to see Ghostbusters at the local movie house or listening to Bananarama our power grid was much more reliable than it is today. In the 2000s, weather related power outages increased exponentially. The climate is changing and extreme weather is becoming the new norm. The Northeast US has seen a 74% increase in heavy precipitation since the late 1950s. Pennsylvania and Ohio were tied with the 4th most weather related power outages among states between 2003-2012. 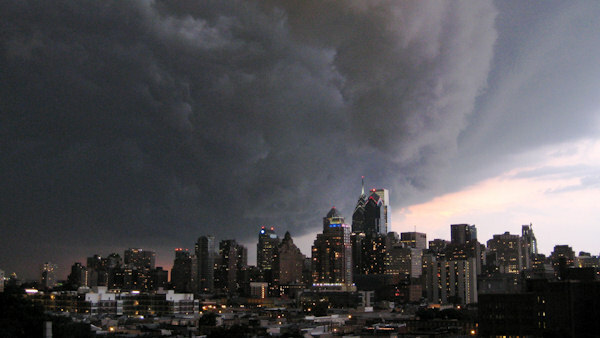 We’ve seen the two largest blackout inducing storms in PECO’s history within the last few of years. 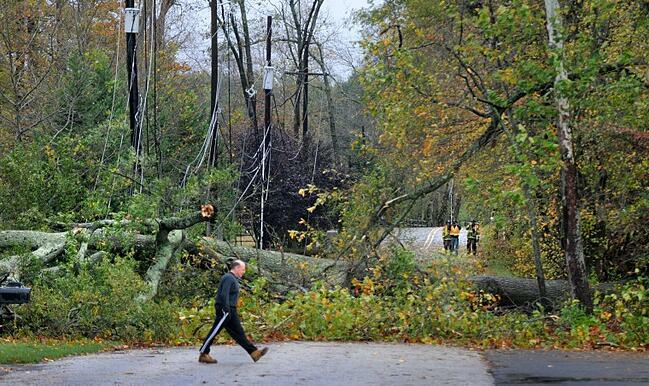 Superstorm Sandy caused approximately 850,000 PECO customers to lose power in 2012. After that - the ice storm of February 2014 weighs in at a hefty 715,000 effected. 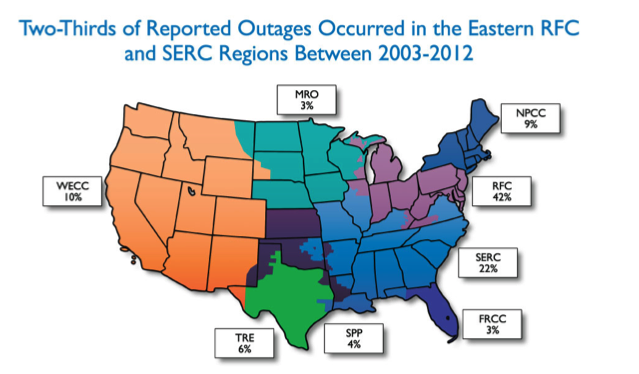 Pennsylvania, New Jersey, and Delaware are included in a region that accounts for 42% of the nation’s outages. The US power grid was built after World War II and could be considered the largest machine on earth. That’s pretty darned impressive! Impressive except for, considering our modern achievements like ColecoVision, that it was built based on designs dating back to Thomas Edison using technology from the ‘60s and ‘70s. For years, a lack of investment or clear policy in modernizing the grid has also compromised our infrastructure. Weather and Infrastructure are the clearly the largest offenders causing blackouts. Others include cyber and terror attacks. It should also be noted that the demand for electricity has grown by 10% over the last decade. Increasing reliance on electronic devices and hotter summers in the southern states could be to blame. Also, according to PECO one third of the outages in their coverage area are directly related to vegetation. PECO spends about $37 million a year clearing trees and other pervasive vegetation during a five-year trimming cycle. Now that we know what's causing our power interruptions, is there anything being done about it? The industry is, slowly, making strides towards upgrading to smart grid technology. The smart grid would bring much needed benefits that include self-healing, resiliency against physical and cyber attacks and quality power for 21st century needs. Wide implementation of smart grid technology is still some years away. Meanwhile, there remains that pesky problem of power outage potential whenever a major storm system rolls through. For now, the best way to prevent a powerless home is by makinig your own electricity with a generator. If you don't have a generator at home, chances are you've heard the rumble of their engines throughout your neighborhood during a blackout. Maybe you've even seen a mess of extension cords going from house to house. Maybe you were just a little jealous. One of the nice things about living in our fancy digital future is that a generator can be hooked up directly to your home. That means no messy extension cords and, more importantly, no humiliation when flipping on lightswitches throughout the house. It doesn't look like our climate or infrastructure will improve any time in the near future. So, the best plan for now is still good old fashioned preparedness. Make sure you have a plan and the supplies you need for the next time that major storm system is forcast. For some helpful preparedness tips, click the button below to download our Lights Out Checklist. There are some handy tips and reminders for things to do leading up to a major storm and supplies to gather before the storm hits.